A profile is basically the collection of all settings and information about how to recognize your voice when using Windows Speech Recognition. Before changing the language used or letting other persons use Windows Speech Recognition it is best to create a new profile so that your current one will remain unaltered. If another person will use Windows Speech Recognition and you don't create another profile, it will alter the performance of the application and it is very likely to have worse results when working with it in the future. To learn how to create a new profile, check out our previous article called Windows Speech Recognition: How To Benefit From its Advanced Configuration Options. In that article you will find a chapter called How To Create, Change or Remove Windows Speech Recognition Profiles. Carefully read and follow the instructions shown there. There are many reasons why you should backup your speech profile(s). First of all, in case your computer crashes and you need to reinstall Windows Vista, you will loose all the training and settings you made for Windows Speech Recognition. Having a backup is always handy as you can quickly restore everything once you reinstall your operating system. Also, if you have your profile saved you can also migrate it to another computer and use it there as well. 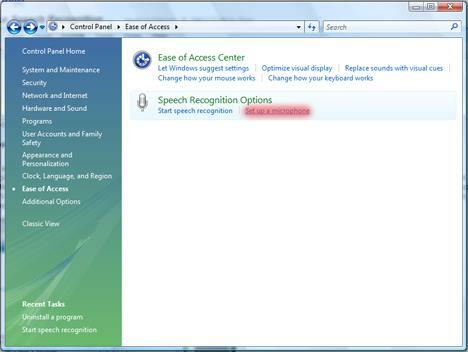 First, you need to download a free application called the Speech Recognition Profile Manager Tool. After the download is complete, run the SpProfileMgr.exe file. You will receive a security warning. Click on Run. 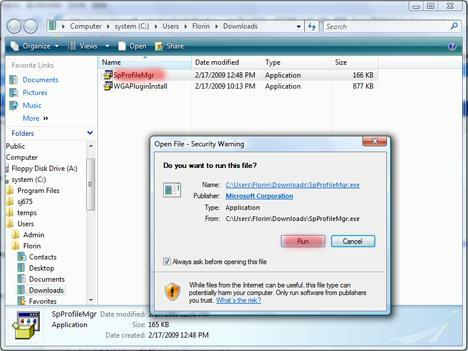 Accept the license agreement and extract the application in a folder of your choosing. 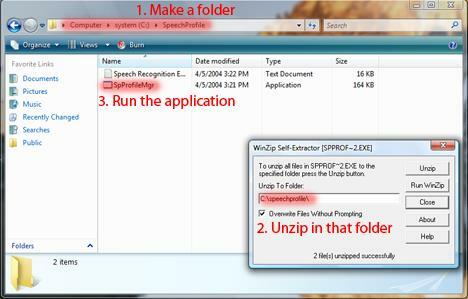 Now, go to the folder where you unpacked the program and run SpProfileMgr.exe. Once the application has opened, you are presented with two options: import and export. If you previously saved a profile and want to add that profile, click on the Import button and load the file containing the previously backed up profile. To enable the newly imported profile as the default one, go to Control Panel -> Ease of Access -> Speech Recognition Options -> Advanced Speech Properties and check the profile you want. More information can be found in our previous article called Windows Speech Recognition: How To Benefit From its Advanced Configuration Options. There you will find a chapter called How To Create, Change or Remove Windows Speech Recognition Profiles. Carefully read and follow the instructions shown there. The Export option can be used to create backups of your current profiles. Select the profile you want to backup, click on Export, select the folder where you want to save it and type the file name. When done, click on Save. IMPORTANT: It is necessary to close Windows Speech Recognition before attempting to import or export a profile. Once you have imported a profile you need to start the Set up a microphone wizard from within Control Panel for optimal use. To do that, go to Control Panel -> Ease of Access -> Speech Recognition Options -> Set up a microphone. 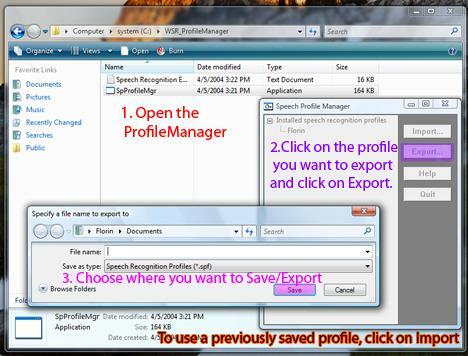 NOTE: If you want to import your profiles on other computers with Windows Vista installed, download the Speech Recognition Profile Manager Tool and follow the same instructions.